We already saw the jaw dropping details of Ironman Mark VI on our previous review. This time, we will take a look at the even more complex figure rendition and details of Warmachine. Let’s get started. Warmachine, when it comes to looks, is more technical and complex compared to Mark VI. There are a couple of comments though, one, the figure doesn’t have any armor replacement parts like the Mark VI. and two, the figure doesn’t have a diorama base. Aside from the comments I’ve mentioned above, its still a remarkable figure. Every micro details were recreated perfectly. The figure appears to be much more “thicker” and “bulkier” compared to the Mark VI. The overall figure is also well articulated. You can basically move every parts making dynamic poses possible. You still need to be careful though since there are limits on the movement of each parts. The armor itself contains some of the infamous weaponry we saw from the movie (like the “EX-WIFE” lols). We will take a look at those later in the review. Overall paintwork of the figure is just outstanding. The figure is clearly made out of high quality plastic, but because of the overall paint job, it looks like its not. Like the Mark VI, the mask is also retractable. The chin of the figure is also articulated. You can basically move it up or down. The torso of the figure has also a pretty complex movement mechanism. When you try to bend the figure forward or backward, each “plates” on the torso will contract or expand depending on the direction of the movement. The articulation is just amazing. A more closer look at the individual “plates” on the torso. Details on the legs are recreated perfectly. The legs are divided into 3 seperate joints for dynamic movement. Feet are also articulated individually. Armor weather effects are nicely done. It looks really natural and realistic. His arm mounted dual submachine guns. A closer look at the weapon’s details. Decals on the armor are also perfectly recreated on the figure. The AI controlled chain gun that targets enemy threats on its own. Its the signature main weapon of Warmachine even in the comic books. A closer look at the chain gun barrel. Fully detailed mount of the chain gun. Its also articulated and can be moved and rotated 360 degress. More detailed shots of the chain gun. The super detailed ammo belt. A closer look at the armor’s back compartment. Just look at those details. Even the screws are sculpted perfectly. Retractable thrusters at the back of his legs. Some detailed shot of the thrusters. A closer look at Warmachine’s arc reactor. Yeah, its LED powered. Fingers are also articulated. You can basically do anything with his fingers lols. Let’s take a look when we retract the mask. I’m really not sure if he really looks like Don Cheadle from the movie. It really depends on the angle of the shot. Looks more like Don Cheadle in this shot. The articulated chin guard. Also, inside both his shoulders are some of the weapons he used in the movie. One of them is the infamous super missile…. And the badass rocket pod. Shot of his shoulder weapons deployed. Eyes, chest, and both his palms are all LED powered, meaning, they all light up. The switches for the lights are well hidden. 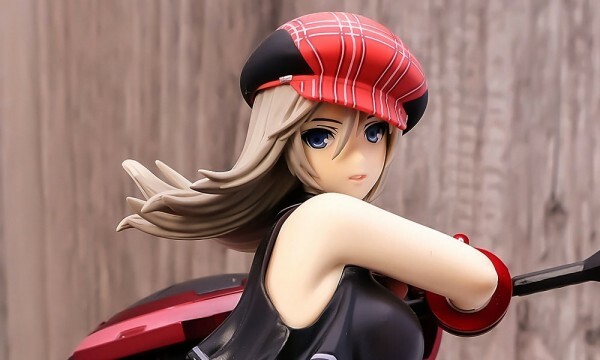 It actually blends with the technical details of the figure so you wouldn’t notice it at first glance. Love that red eyes. Specially when lights are off. I’m just not sure about the color of his arc reactor. Isn’t it suppose to be red orange not white? A final shot to close the review. That wraps our review for Warmachine and I hope you enjoyed it. All I can say is that this figure is just absolutely incredible. Its worth every buck! I’ll be having my 3rd Hot Toys figure, still, from the Ironman 2 series tomorrow so stay tuned ;) Will update my blog for details. My 3rd Hot Toys figure had arrived early today. And yes, its the Mark IV suit of Ironman :D I’m now prepping for the in-depth figure review of this figure. For now, here’s the teaser review poster. ang galing. ang ganda ng mga pictures. pwedeng pwede! hmmm…from the colors, it really looks plasticky. I mean I know these figures are all made of plastic, but this one looks really really plasticky. From the movie, War Machine looks a bit more darker… Im deciding between this or the Milk edition…whats your take on this man?